Although the notion of less is more holds true in thank you notes, there is an art to writing them to a prospective employer. After a job interview, it is regarded as a courtesy to send your interviewer a thank you note within a few days. Sending a handwritten thank you note shows your prospective employer that you took the moment to reflect on the time spent with him or her as well as your commitment to the role to which you are applying. In an era that has given rise to the email as acceptable means of correspondence, you will be sure to stand out among your competition with a beautiful handwritten thank you note. When writing a thank you note to a prospective employer, it is very important to weave unique elements of the interview into your note, especially a moment of discovering a shared interest or common experience during your conversation. In addition to reiterating your interest in the job, the thank you note provides the opportunity to further highlight your qualifications for the role and to add in anything that you may have forgotten to mention during your interview. Be concise and confident. To conclude your note, write that you look forward to hearing from your interviewer. 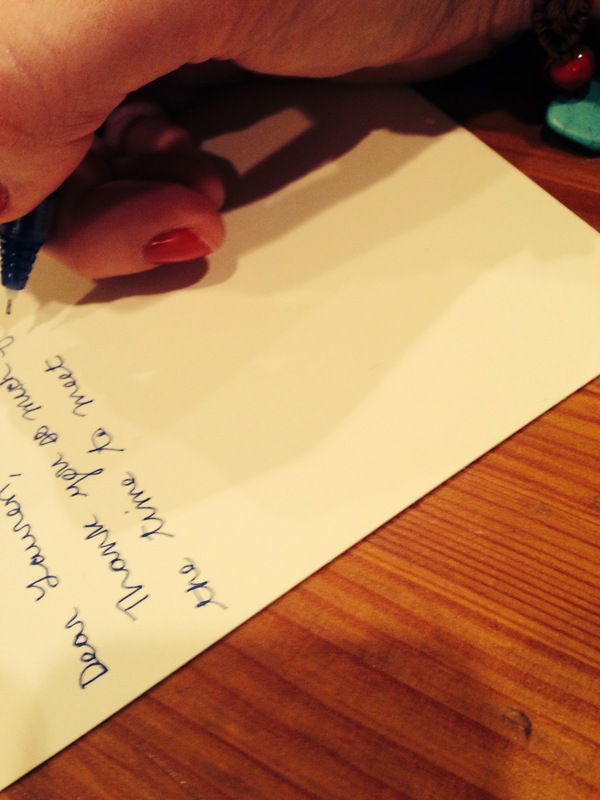 Sign your note with a simple Sincerely, My best, or Best wishes followed by your signature. The interviewer will be sure to take notice of your attention to detail, polite manner, and thoughtfulness—all qualities of an excellent future employee.